His earliest and most impressive encounter with music was at the age of five when he attended his first live concert to see the legendary ‘Earth, Wind & Fire’. Jay recalls, “The thing I remember most is seeing Verdine White suspended sideways in midair playing the bass and I remember saying to my mother: ‘I want to do that’.” Some of his greatest influences include the aforementioned EWF, Marvin Gaye, Donny Hathaway, Curtis Mayfield, Isaac Hayes, Gil Scott – Heron, The Ojay’s and Teddy Pendergrass just to highlight a few. He credits his rekindled passion for music to artists such as Gil Scott Heron, Maxwell, Erykah Badu, D’Angelo, his introduction to the traditional sound of jazz while living in Iceland and a band of individuals from Iceland called Jagúar. 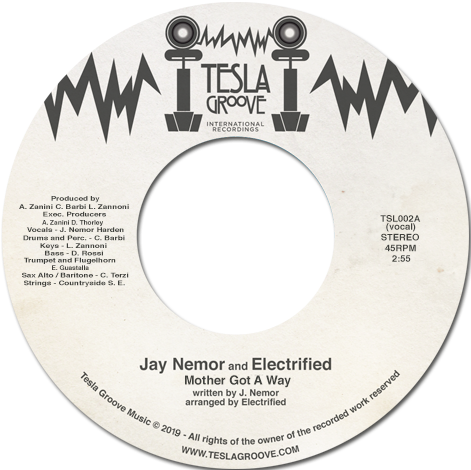 Jay Nemor signed with Tesla Groove in January 2018, check out his debut single on the label here.